An egg allergy is not usually due to the whole egg. In most people, the allergic reaction is usually due to the egg white protein and not the yolk protein. Like the many other foods that can cause allergic reactions, a skin rash or more serious health effects such as anaphylactic shock can occur with this food allergen. Fortunately, many people outgrow an allergy to eggs at an early age. By the age of three to five years old, the sensitivity to eggs often disappears and the individuals suffer to ill-effects when they eat eggs later in life. However, this is not always the case. 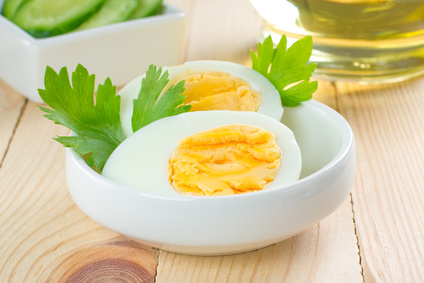 A severe allergic reaction to eggs can last for the lifetime of the individual. Proper controlled allergy testing by an allergist is required in order to establish that the individual no longer has an allergy to eggs. It is often mentioned, that people with this type of food allergy can eat cooked eggs and not suffer a skin rash or other allergic symptoms. However, this is not necessarily true. Cooking does alter the protein of the raw egg, but the cooking process may not be sufficient to prevent an allergic reaction. The heat may not alter the protein enough to prevent the reaction from occurring. This is a topic that should be discussed with an allergist. Another non-food related problem for those who are allergic to eggs is vaccines. For example, the flu vaccine is grown on the embryos of eggs. Therefore, there is a high probability that the vaccine contains egg protein and can cause a skin rash or other more serious allergic symptoms in allergic individuals due to essentially cross-contamination. There is also concern about the Measles Mumps and Rubella vaccine (MMR) for people with a sensitivity to eggs. However, many years of use of the vaccine have shown it to be safe for egg allergic people. Nonetheless, if you have an allergy to eggs and are getting the above-mentioned vaccinations, it is best to consult with a physician prior to getting the vaccine in order to avoid any complications. Finally, like any food, eggs in food products are often listed under different names (source: Canada Food Inspection Agency) and this is a very tricky issue for those that are allergic to eggs. Be careful when reading ingredient lists and always double check the ingredients you do not recognize.